Kerry Gibson with her mare and foal. Photo: Supplied. 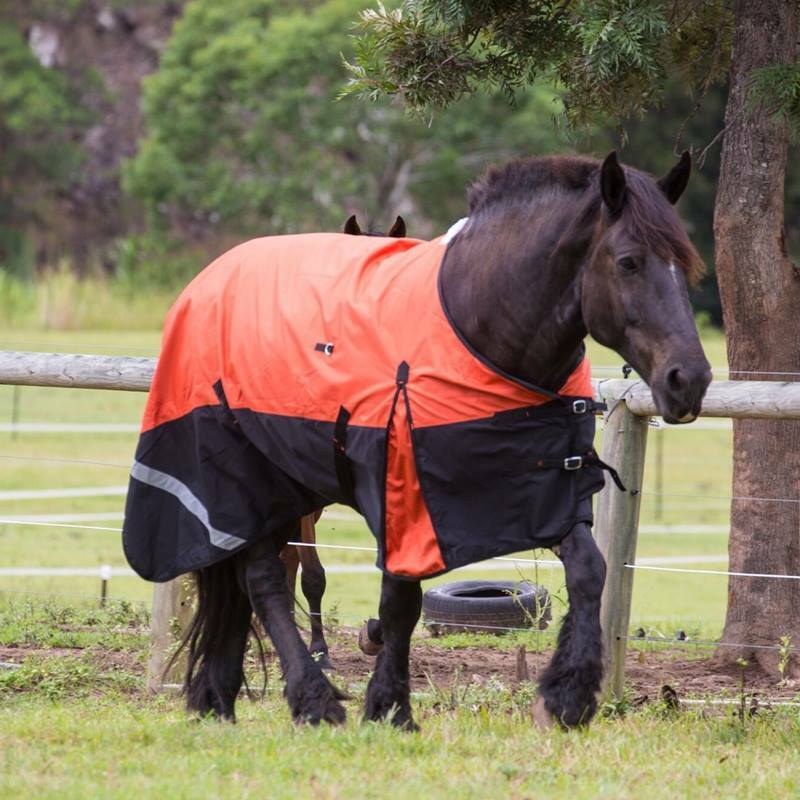 Here’s what equine enthusiast Kerry Gibson knows: she loves her horses, so much so that she named her horse rug business ‘Love my Horse’. But it doesn’t stop there; to reinforce her passion for her work, she even made sure the logo for her business included a love heart in it. And, she is the proud owner of a beautiful mare, who was expecting to give birth soon. 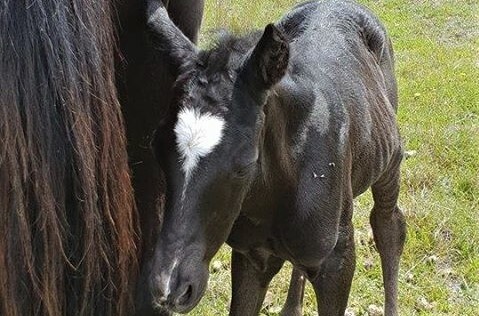 What she didn’t expect was that the birth of the foal would spark a series of serendipitous events that contributed to the marking of a very special day for the Braidwood online entrepreneur – for more reasons than one. On a cold November Sunday (even the birth date – 18/11/18 – looks a little auspicious), the mare gave birth. Kerry gasped when she laid eyes on the product; the colt was marked with a white blaze in the shape of a heart on his head. The new colt, just a few hours old. Photo: Supplied. However, the coincidences don’t stop there. 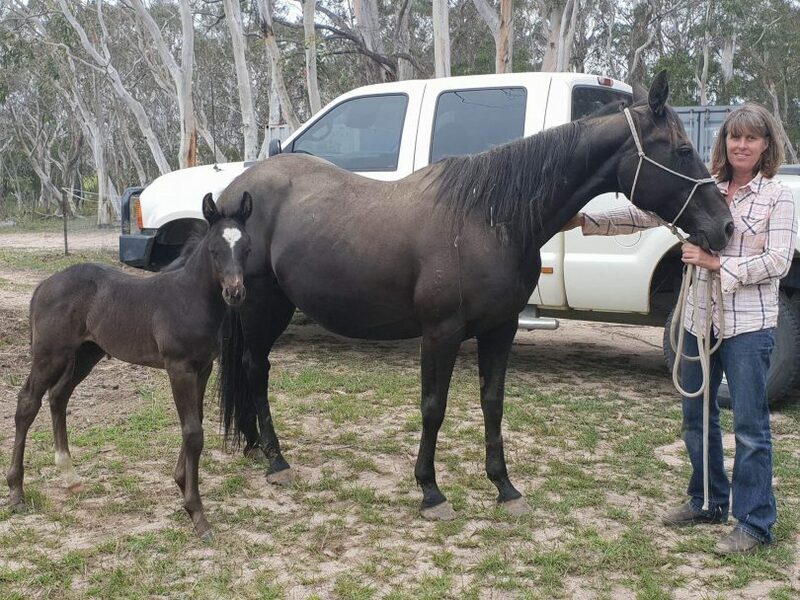 While the mare is an Australian Stock Horse, the sire is SDP Scott David from breeders LMH Quarter Horses owned by Lexie Kershaw. 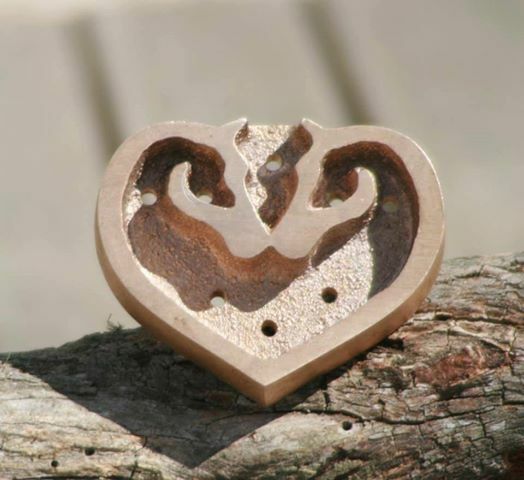 Kerry Gibson’s Love My Horse logo. 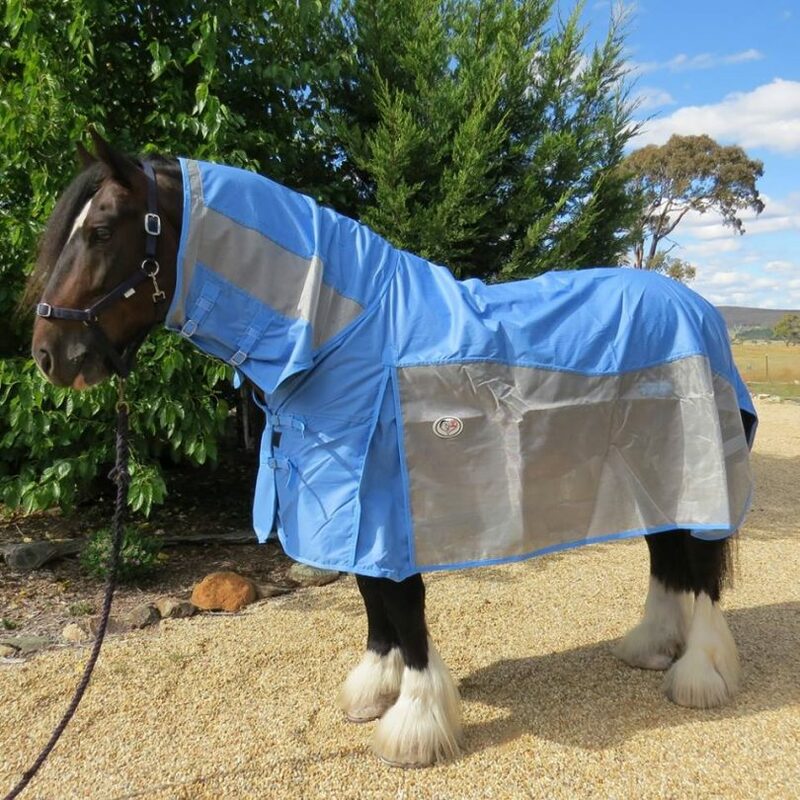 The Love My Horse business theme is “We all love our horses and want our horses to be warm, dry and safe”, and Kerry makes sure her products reflect this sentiment. “I have incorporated reflectors on all my rugs to ensure they are visible at night making them safer near our busy roads,” she says. Kerry says she has huge support from Braidwood Post office, posting daily orders to everywhere in Australia. Some of the Love My Horse rugs. Photos: Facebook. Previously playing polocrosse for Bowen in Queensland for four years, then Bungendore for five years on her quarterhorse cross thoroughbred ‘Smudge’, she moved to Braidwood to enjoy her horses even more. Kerry has always had two passions – horses and sailing. The rug business was a ‘sea change’ of sorts. Kerry had actually spent 20 years at sea as a professional sailing AYF Yacht Master offshore instructor. Kerry had been the youngest female skipper in New Zealand at 19, when it wasn’t a common career choice for women to excel in. For more information about Love my Horse, check out the website.